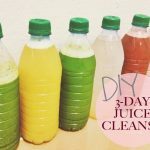 I recently came across a doable, budget-friendly DIY juice cleanse (based on Ritual Cleanse’s cleanse program) from PR Blonde—the juices sounded good and I figured I would get my feet wet with a one-day cleanse before treading into anything longer, such as a 3 day cleanse. I’m not looking to lose weight or diet but I do want to feel healthier and start developing better and healthier habits. And mainly, I wanted to try this detox juice cleanse out of curiosity. I always imagine that people in other places typecast all Los Angelenos as kale-eating, diet-obsessed, gluten-free’d health nuts—heck, I live here and even I think that! Riding on the coattails of the smoothie craze are juice bars and more specifically, juice cleanses. There’s always someone who has done one, on one or who wants to— even those I never thought would do anything remotely healthy for themselves are interested (and yes boyfriend, I’m talking to you!). There are so many companies offering juice detox and cleanses in the LA area but they can be pricey, even a one-day detox cleanse isn’t in my budget. 5of 6 juices ready to go! Initially I wanted to wait until 8am to drink this while on the road to work, however it all didn’t fit into my to-go cup so I drank the entire juice just before 8am. I drink a smoothie every morning on the way to work so this wasn’t too different than my normal routine (minus the scrambled eggs I have as well). The juice is yummy and sweet from the apple and kiwi—I do get more of a “greener” taste from the spinach and kale, however the banana covers up most of that earthy flavor. 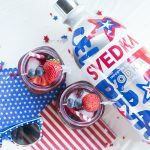 This one is extremely tasty and super easy to drink. The cucumber is very distinct but so refreshing, especially poured over ice! Just before I started drinking this juice my stomach started to gently grumble—at this time I’m typically reaching for a granola bar or crackers—but for me, the juice was enough to quench that rumble and tie me over until lunchtime. As with when it came time for juice number 2, I was starting to feel hungry again before the third. Co-worker was heating up a scrumptious smelling pizza so I slipped outside to drink my third juice for lunch. I’m a sipper so I put it on ice and took about 40 minutes to drink it. During the afternoon, I felt more energized than I normally do, and while that pizza smelled amazing, I felt satisfied after my juice lunch. The fourth juice is a spicy lemonade, which I actually really like and will typically drink a couple times a week (I’m drinking this now as a I write this!). I added a bit too much cayenne to this one, but it was still drinkable and refreshing… with a good kick. I drank the fifth juice in traffic on my way home from work—I couldn’t help but notice all the Burger King, Carl’s Jr.’s, McDonald’s etc. all around me—a nice, burger with all the fixin’s sounded AHH-mazing. I don’t even like burgers. I drank the final Juice (more like a nut milk) just before bed as my dessert—I put all ingredients in the blender along with some ice and made a smoothie— the mix of the banana, almond milk and cinnamon was delicious! Since coming across this recipe I’ve been making this blend regularly as it’s a great (and healthy!) meal or dessert replacement. If you’re allergic to nuts, you can forgo to almond milk and cashews and use coconut milk instead. At the end of the cleanse, I went to bed feeling fairly full and happy to have done something healthy for myself. I’m glad I started with a one-day as I was not sure what to expect with my body as I typically start feeling headachy and nauseous if I don’t eat throughout the day. I didn’t experience either of these on cleanse day and I even took my cleanse into the first half of the following day before I ran out of produce. The only cons I experienced were non-stop treks to the bathroom due to all the liquids, and I noticed a couple new zits sprout up, which could mean toxins leaving the body. This might be TMI but I am happy to report there was no weird, gross diarrhea or other scary bodily functions one might associate with a cleanse or juice diet. I felt more energetic throughout the day and an overall sense of healthiness. Coming up, I plan to go for a three-day cleanse—stay on the lookout for an upcoming diary! 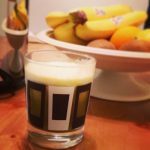 If you’re on the fence about juice cleanses or just don’t have the money to fork over, I recommend trying this DIY version and making the juices yourself. This one is perfect if you’re not ready for a three-day or longer cleanse—perfect for a day of detox! What has your experience with juice cleanses been? * The original recipe calls for cardamom, but I did not have any and used cinnamon instead.